Do you need lead water pipe replacement? Lead in drinking water is potentially hazardous. Young children and infants are particularly at risk. If your property dates from before 1970 you may have lead pipework. We can remove your old lead pipework and replace it with new, plastic pipes, ensuring you have a reliable water supply with water that’s safe for you to use at any time. Why choose lead pipe replacement? 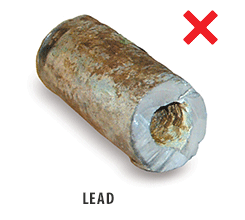 The supply pipe inside your boundary, running from the common pipe in the street into your property, is your responsibility, which means if you want a replacement lead supply pipe, because you have lead pipework, you must act on your own behalf. The good news is that we’ll do it all the for you, from assessing what’s required to carrying out the work expertly and efficiently. What are the benefits of lead pipe replacement? You’ll have a domestic water supply you can rely on – free from the danger of lead contamination, flowing through durable pipework that’s made to last. Most importantly, you’ll have peace of mind, knowing your water supply is something you can depend on. Don’t worry about your water, contact Pipeline Services to make it right. To see what we can do for you call our specialist lead pipe replacement team for an initial assessment. Phone or contact us online and we reply within 24 hours for an initial consultation with a fully accredited engineer. There are a number of simple, everyday changes that can help to reduce the impact of lead in your drinking water. It is advisable to flush your pipes before drinking and to only use cold water for cooking, drinking and baby formula. The longer the water has been standing in the pipes the more lead it may contain; this is especially true first thing in the morning. You may choose to purchase and drink bottled water or to have a special filter fitted although some particles can still pass through these filters. For further information please refer to the Drinking Water Inspectorate (DWI) or your local water authority. 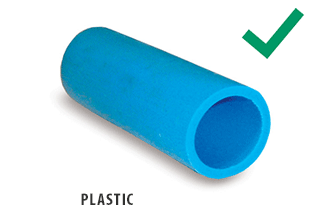 Changing your lead pipes for a modern, plastic (MDPE) water supply pipe is the only guaranteed way to eliminate the risk completely and is a far more cost-effective method than other techniques such as relining the pipes with epoxy resin. At PipeLine Services our dedicated team can provide you with an accurate and competitive quote for renewing your lead supply pipe giving you both peace of mind and superior quality drinking water. 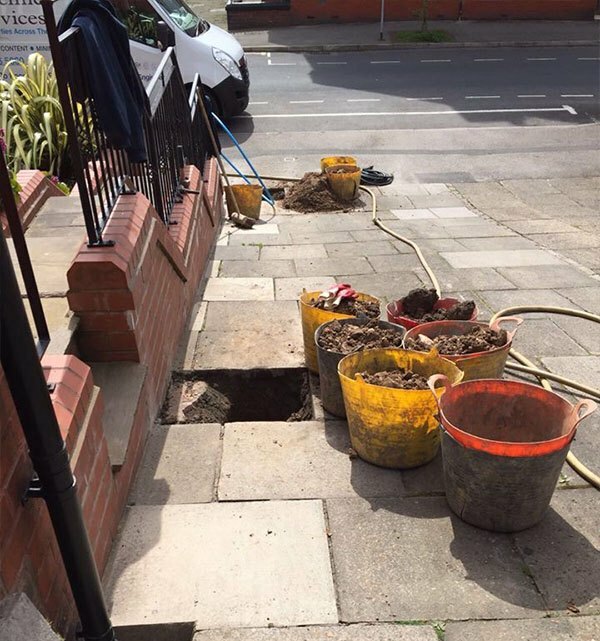 Your renewal would be handled by our expert replacement team and would be carried out by our specialist engineers using the latest trenchless technology.